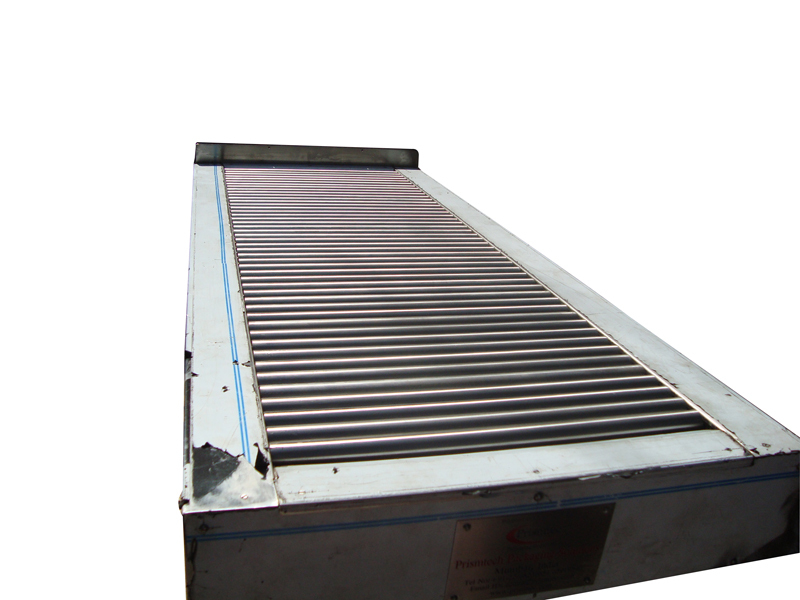 Belt conveyors are used to transfer the Products from one end to other end. 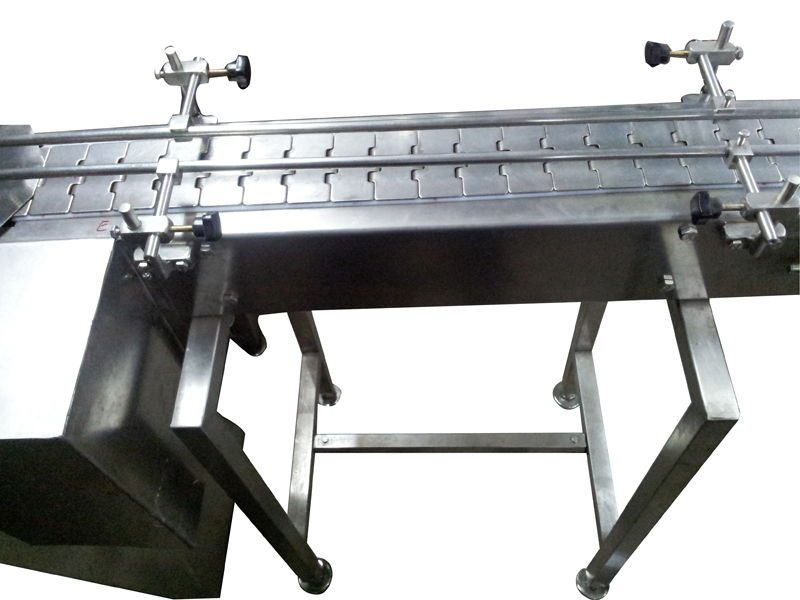 This are basically installed either at the end of Packaging Line or at the beginning of the packing lines. 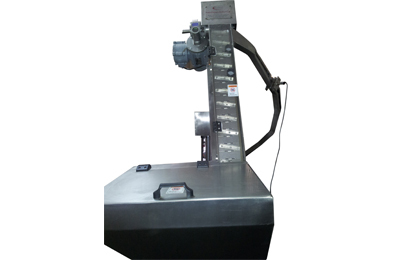 Elevator suitable for automatic feeding of caps to Cap Feeder of Screw Capping Machine. 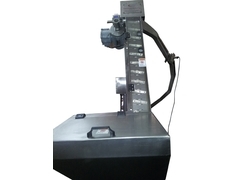 Cap elevator picks-up caps from hopper placed at the ground level. 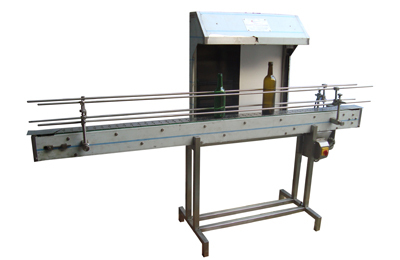 Roller Conveyor is mainly used to convey the Bulky products from one end to other end. 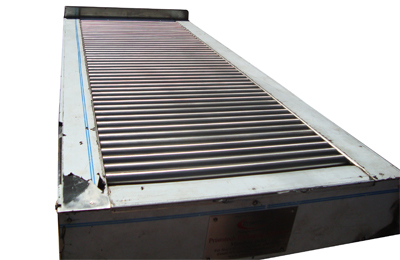 These are non motorized conveyor and works on Gravity mechanism. 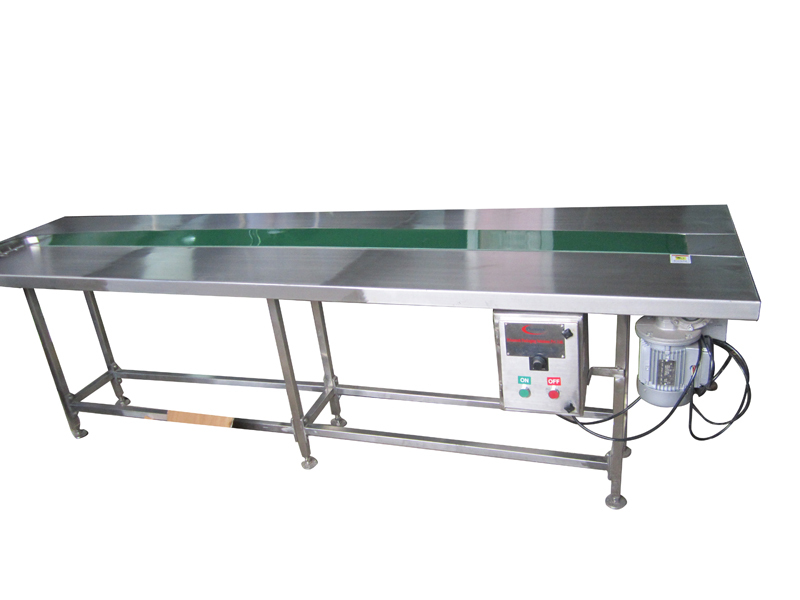 Inspection table is equipment consisting of a three track conveyor with a hood of SS 304 with lighting arrangement and visual inspection background of alternate black & white color. 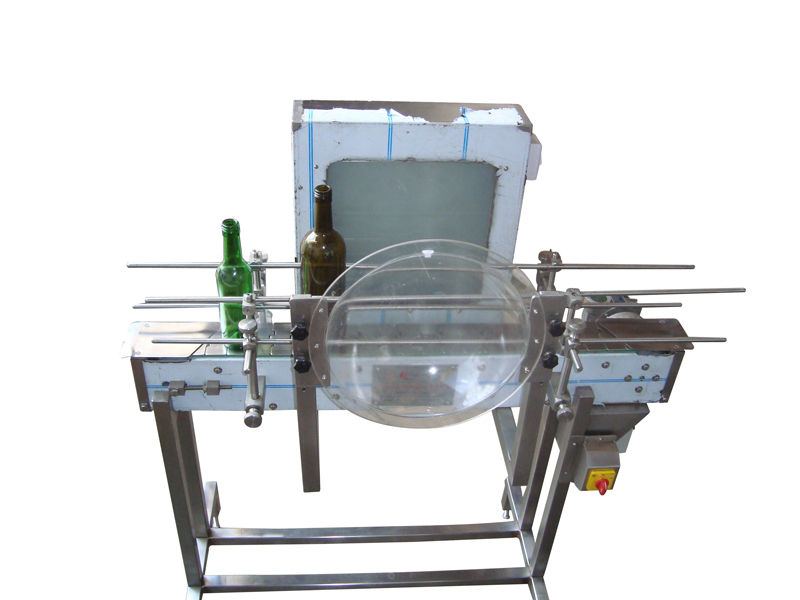 Inspection table is equipment consisting of a Magnifying Glass & Back Light for Visual inspection of Empty Bottles. 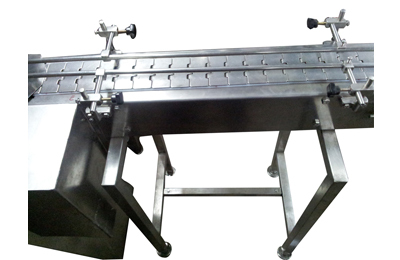 Inspection table have stainless steel structure with moving S.S Slat Chain Conveyor. 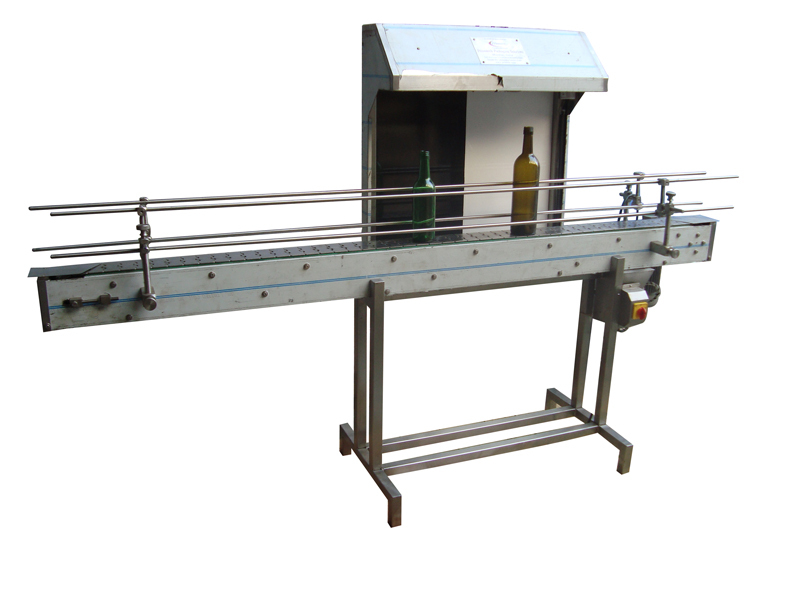 The Packing Conveyor Belt System for online manual packing of various type of Vials, Bottles, IV Fluid Bottles or any product in carton for any Powder Filling, Liquid Filling or Tablet Bottle Packing Line. 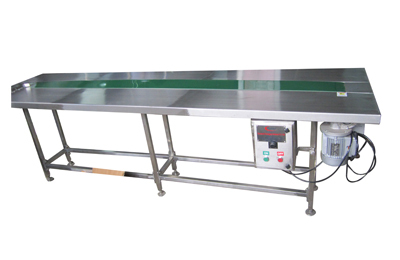 Packing Conveyor Belt suitable for online operation with Double Side Seating for Higher output depending on customers’ requirement. 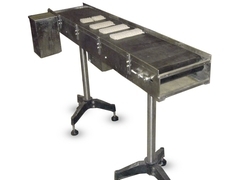 Slat Conveyors are ideal for assembly line or production applications where a flat carrying surface is desired. 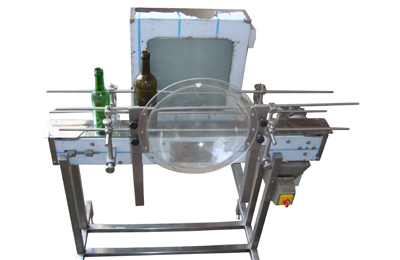 Turn Table System for transfer or movement of various type of Vials, Bottles, Jars on any Powder Filling, Liquid Filling Lines. 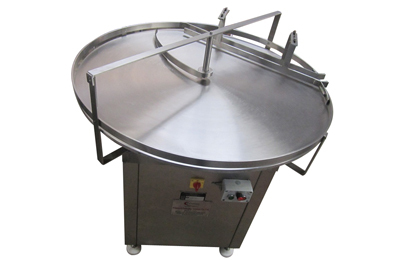 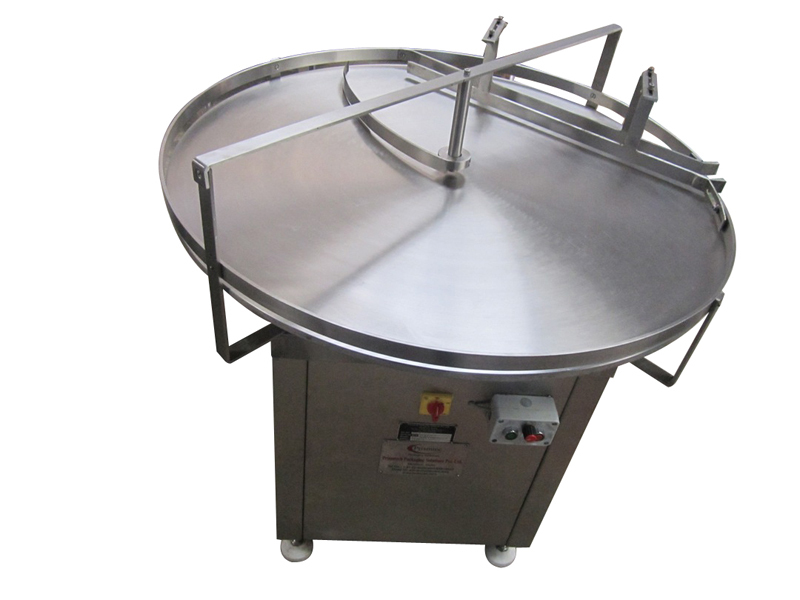 Turn Table can be used with any machine for collection or feeding of products and also used to change the total line direction for “L” shape or “U” shape movement of line or for Linear movement of line but it can works as a buffer system.